The Walt Disney Company has been one of the most successful enterprises in the past few decades. Founded in 1923, the multinational mass media and entertainment corporation established itself as a leader in the American animation industry. The company is best known for the products of its film studio, the Walt Disney Studios. The giant brand also owns and runs the ABC broadcast television network, cable networks like Disney Channel and ESPN, and 14 theme parks around the world. The Walt Disney Company is undeniably one of the popular organizations in the world. 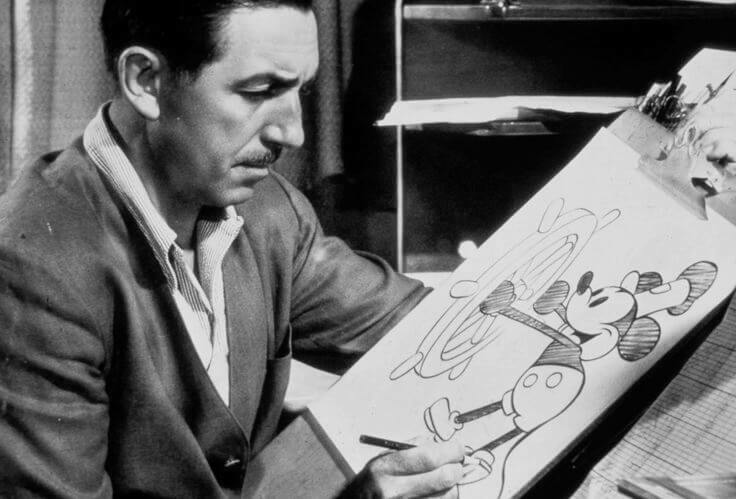 And its success all started with one iconic entrepreneur – Walter Elias Disney. Walter Elias Disney was an American entrepreneur, animator, voice actor, film producer, and the co-founder of The Walt Disney Company. A pioneer in the animation industry, Walt was responsible for creating one of the greatest cultural icons of all time – Mickey Mouse. 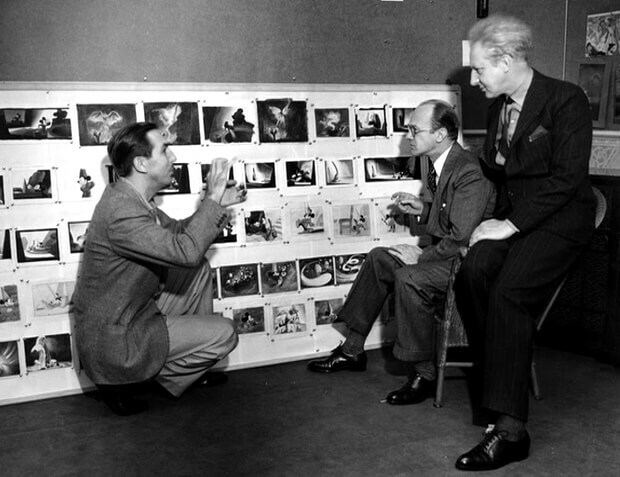 He also introduced several developments in the production of cartoons, including full length animated features and animation synchronized with sound. In addition, Walt holds the record for the most Oscars won by an individual. He won 22 Oscars from 59 nominations. But what made Walt Disney a successful entrepreneur? To answer that question, we gathered the best business lessons we can learn from Walt’s entrepreneurial journey. Walt is considered as one of the greatest salesmen the world has ever known. His excellent people skills helped him turn his dreams into reality. When making Snow White, Walt ran out of the budget to finish the film. He personally traveled to various producers and convinced them to finance the project. 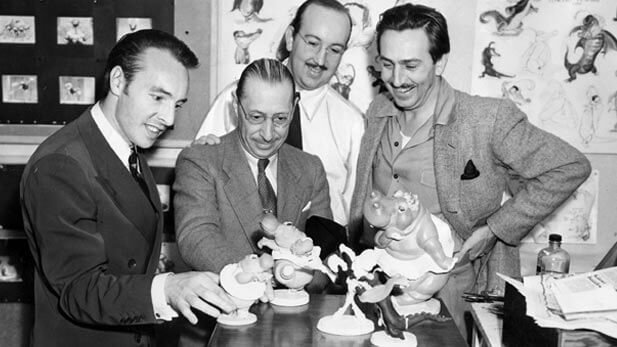 By showing his passion and enthusiasm for the film, Walt was able to get enough funds and finish Snow White, which became an instant success. As an entrepreneur, you must master the art of selling. You might have the most innovative ideas, but if you don’t know how to sell it, you won’t be able to find investors or gain profit. To improve your selling skills, you must learn to listen to your customers. Understand their needs and their pain points. This way, you can easily show them how your product can solve their problems. Walt started to envision Disneyland when he visited amusement parks with his daughters in the 1930’s and 40’s. In the 1950s, he expanded into the amusement park industry. That time, the Disney board didn’t like Walt’s idea. The company was already stretched because of its three new film-making ventures. Even Walt’s brother, Roy Disney, did not want Disneyland to happen. But Walt was convinced that the amusement park was such a brilliant idea. To get enough funds, he started to market Disneyland to television networks. Major networks rejected his proposal, but it didn’t deflate his spirit. Eventually, he was able to persuade ABC-Paramount. 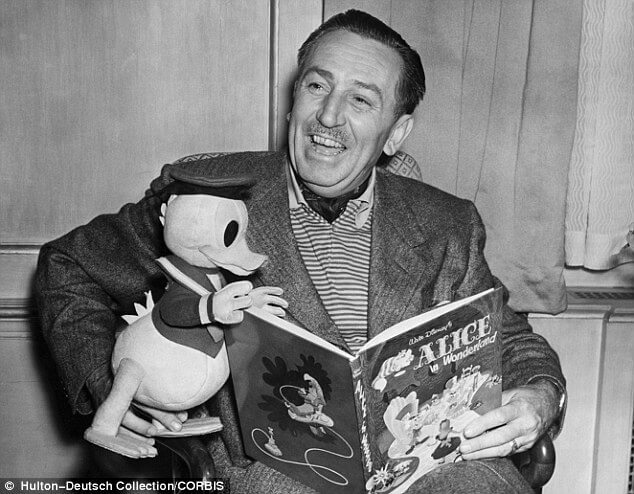 He diversified into television programs like the Mickey Mouse Club and Walt Disney’s Disneyland. On July 17, 1955, Disneyland opened its gates to the public. And today, it’s considered as the “happiest place on earth”. In your entrepreneurial journey, it’s easy to lose sight of your goals, especially during the tough times. But if you are determined and focused on what you want to achieve, then nothing is impossible. Consistency is the key. If you want to succeed in whatever venture you enter, you must keep at it no matter what. Believe in your idea, stay with it, and make it happen. Walt encountered lots of struggles in his life. In 1919, he was fired from his animation job at the Kansas City Star newspaper for not being creative enough. Apart from that, one of his early ventures called Laugh-O-Gram studios went bankrupt. But he believed in his dream, so he kept moving forward. He didn’t let the obstacles stop him. Resilience is the main ingredient for successful entrepreneurship. It’s the quality that enables you to keep going when things get tough. Remember that entrepreneurship is a challenging road, so it’s important that you develop this trait. Also, keep in mind that your struggles can give you opportunities to grow. So face them and learn from them. 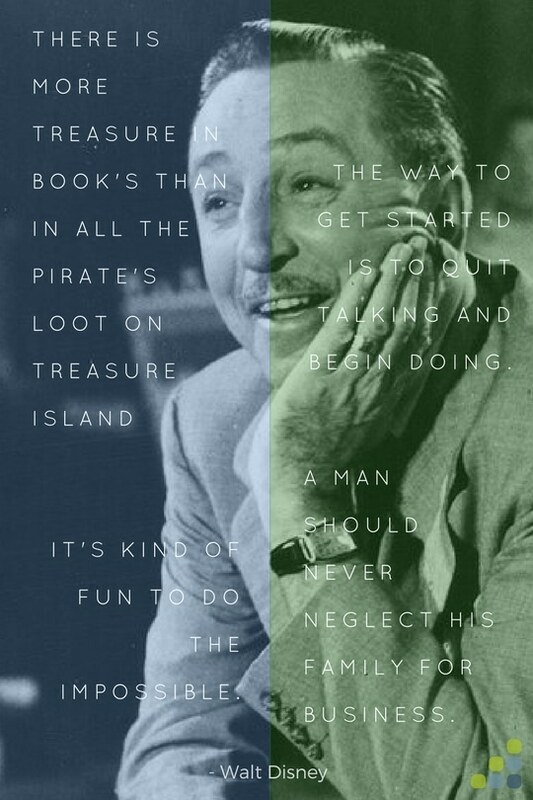 Walt was a transformational leader. He led by example and worked closely with his subordinates to identify the needed change. He used his animation to inspire his employees, share his vision, and portray his ideas. He also had a paternal management style, and his employees displayed a sense of commitment and optimism. Like Walt, you should be a brilliant leader as well. Work closely with your team but avoid micromanagement. Practice empathy and make sure that your employees have great working conditions. It’s also best to help them sharpen their skills. Remember, your employees are the foundation of your business. Their personal improvements and satisfaction will contribute largely to your brand’s success. In a time when most things were done in a traditional way, Walt dared to be different. Before Snow White’s massive success, feature-length animated films were unheard of. People told him that it was a bad idea because it was never done before. But instead of fearing change, Walt embraced it, and in turn, made history. Never be afraid to try something new and to be a pioneer in your own right. Some of the best business ideas are the unique ones. Walt Disney never envisioned an end goal for his dream. Disneyland was not the finish line, but the starting point to endless possibilities. Even after his death, his dream and vision continue to evolve and live on. You should also have this type of mindset for your business. Never be complacent. You must always strive to evolve and develop your startup so that you can take it to the next level. Walt never forgot his roots despite his achievements. When he was still alive, he sent funds to the elementary schools in his hometown in Missouri. It’s possible to lose track of who you are in the entrepreneurial world. But through success and failures, you must always reflect on your core values. It’s important to always have an idea of who you are so that you know what you can become. 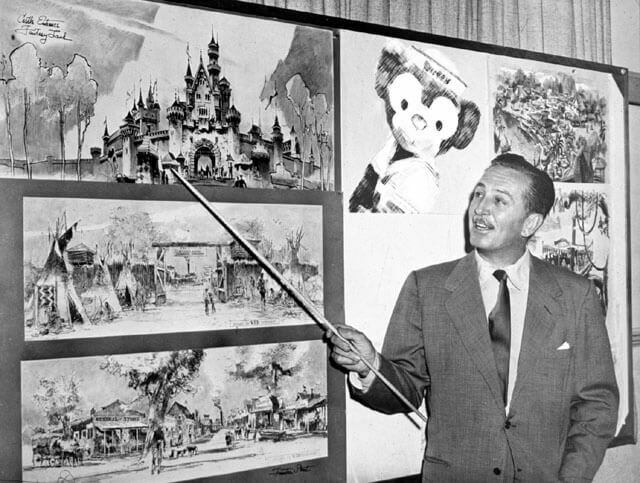 What are your favorite entrepreneurial lessons from Walt Disney? Share it with us below!